I reviewed this a couple of months ago, you can find it here. When I first saw this book, I thought it was going to be some piece of trash that fills my guilty hunger for paranormal romance. I thought it would be a shallow love story about some Mary Sue girl falling for her vampire. 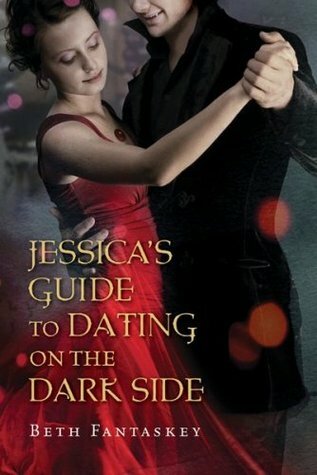 To relate to the cover, I thought there would be some epiphany where they waltz together, like maybe she decides to be a vampire herself. Or they fell in love. Who knows. I don’t want to spoil it for those who haven’t read it; but just a forewarning: It may sound cliche, but hot damn. It’s one of the sexiest teen romances with such an interesting and well-developed world, you’d be a fool not to read it! (only if you’re a fan of the genre, of course). I beg of you, pleeeeeease read this if you haven’t already. That’s all for today. Be sure to check out my other posts from this week’s blog memes, from Tuesday and Wednesday.